A knot of toads - (Bufo bufo). Highly commended in the British Wildlife Photography Awards 2015 in the Animal Behaviour category. 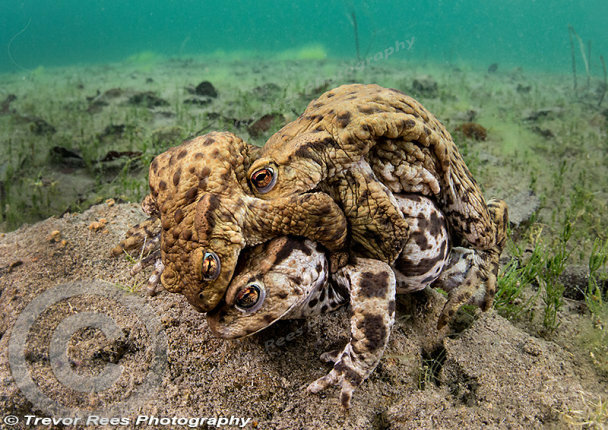 A scene from a flooded freshwater quarry showing males competing to mate with a female - taken during Spring when toads move from land to water to breed and spawn.